Approaching the halfway mark of the project, the ASPIRE project team and steering group got together on 24 May 2018. 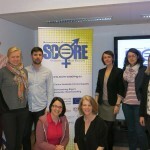 The meeting was hosted by the Berlin-based International Council of Sport Science and Physical Education (ICSSPE), one of the project partners. The steering group discussed the results of the testing of the training module that is being developed. 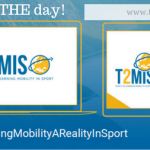 The training module is a manual offering theoretical background and practical advice to people that would like to work with sport and migrants. Minor-Ndako, one of the partner organisations, gave the manual to their football, running and cricket coaches to be tested. The coaches used the exercises from the manual for small groups of youngsters, consisting of unaccompanied minors arrived in Belgium. They found that some of the exercises were useful for new groups when they start doing sport together – other ones can be used throughout the season. “The manual will be useful especially for coaches that are working with immigrants or refugees for the first time. If they feel uncertain in their work, it is easy to return to the manual at any point for both theory and practical tips. It will be a great support in the background” - concluded Gijs Vercoutere, sports coordinator at Minor-Ndako. 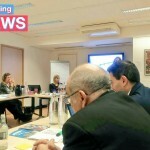 The training module, consisting of chapters on the topics of migration, intercultural dialogue, trauma relief and accessibility, will be finalised by four experts over the summer months. From late 2018 until spring 2019, ASPIRE is implementing the module by organising training sessions in Austria, Belgium, Bulgaria, Finland, Germany, Greece, Serbia, Spain and Sweden. “ASPIRE is a great example of sports organisations contributing to solving burning societal questions. 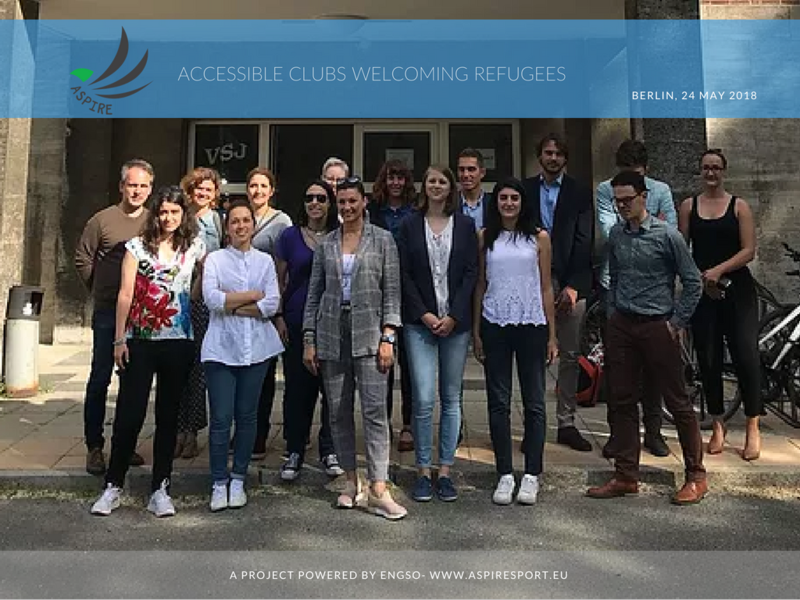 We are excited to be able to bring together hundreds of people from sports organisations and other NGOs and to share with them these tools that will help them make their activities accessible to migrants and refugees” - stated Kaisa Larjomaa, ENGSO Policy Director. The project team members discussed the progress made during the spring, and shared their ideas and best practices regarding e.g. communication. The partner organisations have taken advantage of their communications channels, such as websites and social media, but also used other opportunities such as the world-famous Frankfurt Book Fair in order to share information about ASPIRE with the greater public. 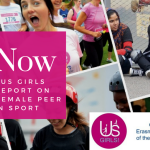 “The ASPIRE project addresses an important and urgent topic, and ICSSPE is delighted to play a role. Our meeting in our home town, Berlin, was crucial for the successful progression of our work, and it was exciting to see such collaboration and commitment” - said Richard Bailey, Senior Researcher at ICSSPE. EOSE was represented by Carole Ponchon who acted as external evaluator, presenting the results of the mid-term evaluation among partners and provided hints and recommendations for the partnership. She also provided support for the brainstorming session on communication and made sure to have a chance to exchange with each partner of the project. Follow the ASPIRE Facebook page and #ASPIREsportEU on Twitter to be among the first ones to see the ASPIRE introductory video!